W.O. Bentley founded this legendary British marquee in 1919, and decided to prove and promote his cars through competition. In 1924, a 3-liter, four-cylinder Sport model won Bentley's first victory at Le Mans. In 1926-7, Bentley introduced the 6.5-liter Speed Six and the sportiest Bentley, the 4.5-liter four-cylinder. This was Bentley's golden age, with four consecutive Le Mans wins in 1927-1930 shared among the three models. Ettore Bugatti compared them to trucks, commenting that Bentley built 'the world's fastest lorries,' but Bentleys quickly built a reputation as the world's best sports cars. With the Great Depression, Bentley sales plummeted, and in 1931, the company was sold to Rolls-Royce. For many years, most Bentleys were Rolls-Royces with a different radiator shell. One major exception was the 1952 'R' Type Continental, a beautiful, 120-mph, four-seat fastback that still turns heads today. In the late 1980s, Bentleys again emphasized performance with turbocharged power and roadholding to match. This transformation continued in 1998, when German manufacturer Volkswagen bought Bentley and invested heavily in new models. After a 71-year lapse, Bentley returned to racing with the Speed 8 Le Mans prototype, taking third place in 2001, fourth place in 2002, and winning a sixth Le Mans victory in 2003. This might be the most beautiful 5,000-plus pounds of metal and awesome you will ever see. Here’s a luxury car dripping in opulence that can take a down a supercar on the drag strip. The Continental GT is a car that bathes you in ultimate comfort while hurtling you to triple digit speeds in isolation chamber-like silence. The GT features double-pane windows and nothing less than the finest materials and workmanship throughout. Sadly, most real-world Bentley owners will never unleash the gut-wrenching power of the 6.0-liter twin-turbo W12 under the hood but, rest assured, when the accelerator is depressed, face-warping speed isn’t far behind. As with most luxury coupes, the Continental GT is most at home on a long stretch of highway. 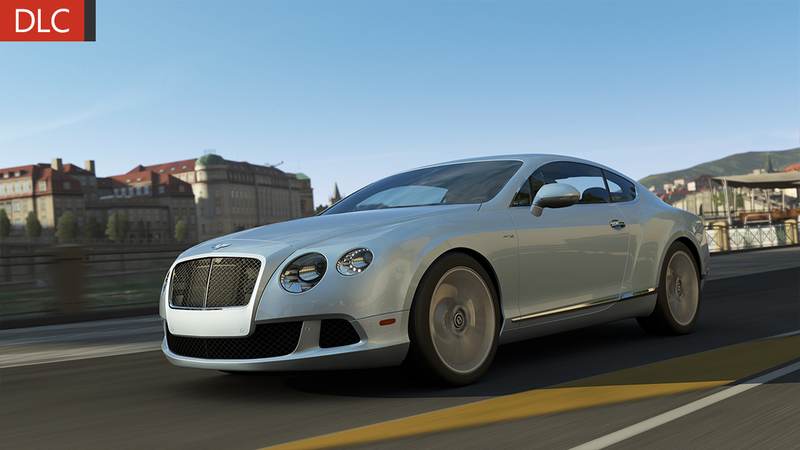 The Continental GT is not meant to corner like a sports car, but its AWD will pull it through an apex with style and flair.